From sharing to multimodal: services for stress-free urban mobility. 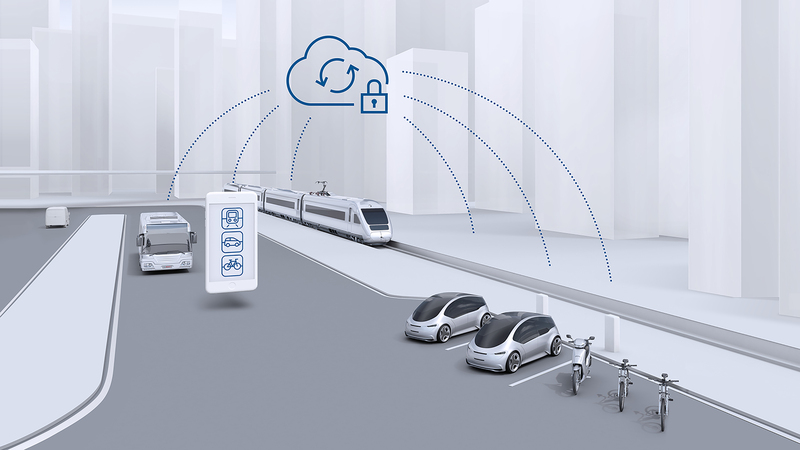 From smart parking to lifesavers from the cloud: services for connected cars and a relaxed, convenient, and safe drive. Connectivity is a driver to stress-free, accident-free, and emissions-free mobility. Berlin and Stuttgart, Germany – A smartphone app instead of a vehicle key, a digital parking map instead of the tiresome search for a parking space, and sharing services that allow people to be mobile without having to own a car: connectivity makes life easier for road users, increasing safety and convenience while lowering stress levels on the world’s roads. 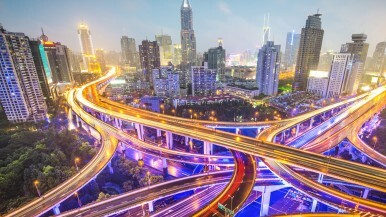 According to market research company Gartner, around the globe a quarter of a billion vehicles will be connected by the year 2020. Bosch continues to drive its transformation into a provider of mobility services. At Bosch ConnectedWorld 2018, the supplier of technology and services will be showcasing its mobility services and connectivity-based service portfolio for car drivers. SPLT: SPLT operates a platform that allows companies, universities, and municipal authorities to offer their workforces ridesharing services. The SPLT app brings together work colleagues who take the same route to work. Within seconds, an algorithm computes the best grouping for the rideshare as well as the fastest route. COUP: Reserve, pay, go – the COUP e-scooter sharing service offers a simple alternative to public transportation, private cars, or taxis. 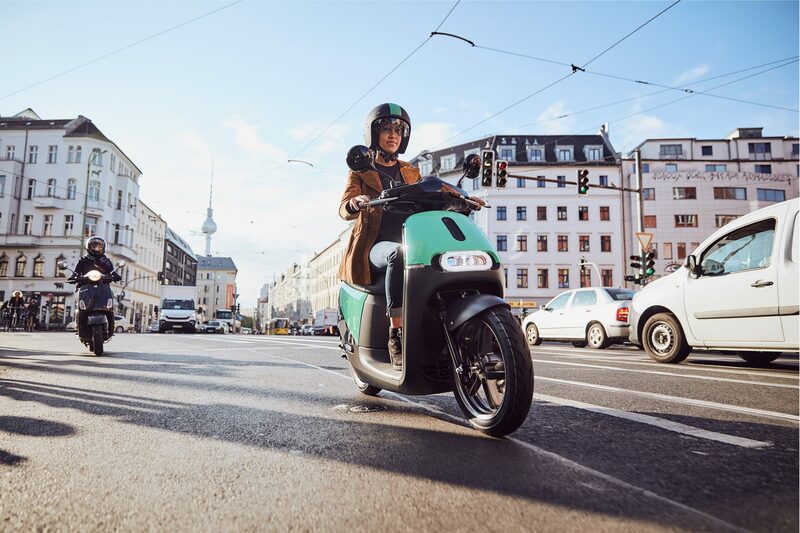 Already on the road in Berlin and Paris, the e-scooters will be coming to the streets of Madrid in summer 2018. Thanks to the COUP app, users have no problem finding and booking the nearest available e-scooter and setting off immediately. moveBW: In July 2017, Bosch launched the test phase for the multimodal mobility assistant moveBW. The service uses real-time data to find the quickest way through the city. It gets commuters to their destination fast and flexibly, while allowing cities to manage their traffic density and mobility providers to improve capacity utilization in their modes of transport. myScotty: With the app from start-up myScotty, users are always ready to move thanks to the various mobility offers – from sharing services for cars, scooters, and bikes, to taxis and rental cars. Users book and pay for the services with a smartphone. To use myScotty, each user verifies their identity in a one-off video chat; the start-up handles the registration and verification process with the various providers. 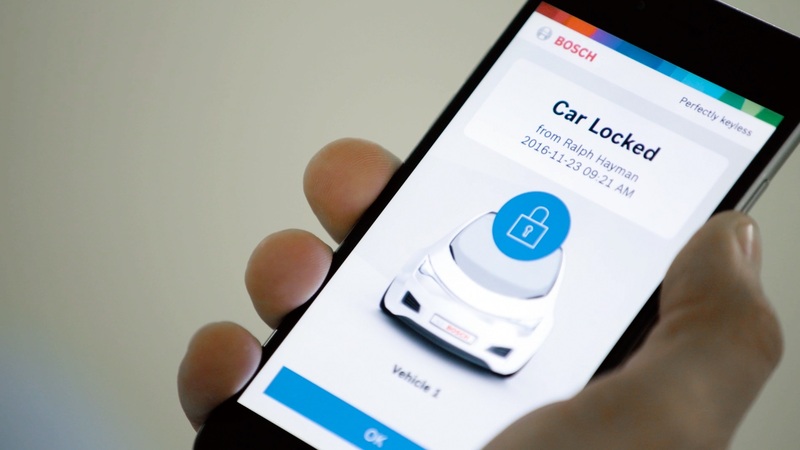 Community-based parking: With its parking-space search engine community-based parking, Bosch searches for a suitable parking space so that drivers don’t have to. Using the ultrasonic sensors of their parking assist system, cars identify and measure the gaps between parked cars as they drive past them. The data collected is transferred to a digital parking map that drivers can use to guide them to suitable parking spaces. Automated valet parking: Bosch’s automated valet parking solution means that in the future, cars will park themselves. Drivers leave their vehicle at the entrance to the parking garage and instruct the car to park itself using a smartphone app. The car then searches for a vacant spot on its own and parks there without assistance. One factor making this fully automated parking service a reality is smart parking-garage infrastructure, which connects with the vehicle’s on-board software. Over-the-air software updates: Thanks to Bosch’s over-the-air software update service, vehicles handle repair shop visits digitally. It allows vehicle data to be updated securely and reliably, in the same way as smartphones are now, and makes it possible to download additional functions, such as a digital parking map. Perfectly Keyless: Bosch is ending the irksome search for car keys with Perfectly Keyless. Drivers use their smartphone to unlock and lock the vehicle and start the engine. Car owners can use the app to grant vehicle access to other app users. In this way, families, companies, sharing providers, and fleet operators can flexibly manage who can access their vehicles and when. 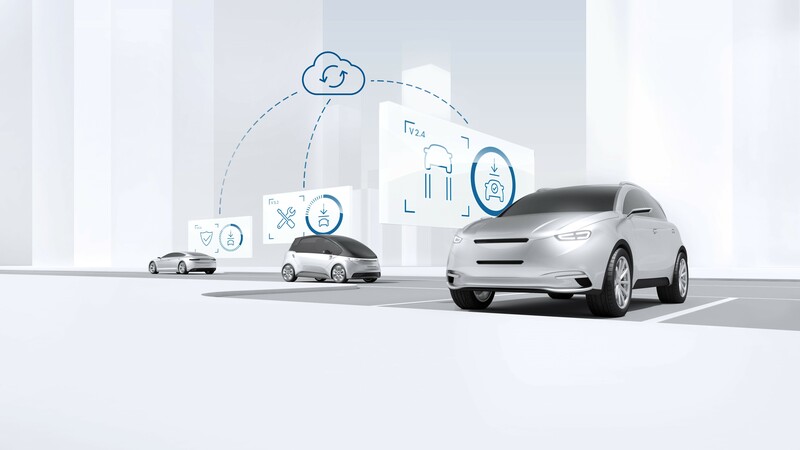 Predictive diagnostics: During regular drives, the predictive diagnostics service uses data and information from the cloud to analyze the condition of key components such as the battery, fuel filter, and braking system. If the data indicates that a component is wearing down, the driver is notified before it wears out completely and receives a recommendation for the next repair shop visit. This prevents the car from suddenly breaking down. Concierge service: Thanks to the concierge services, drivers always have a personal assistant in the car with them. It helps them find the nearest post office, assists them in making restaurant or concert reservations, and offers tips for what to do in an unfamiliar city. Once drivers have decided on a destination, the service sends address information directly to the vehicle’s navigation system. 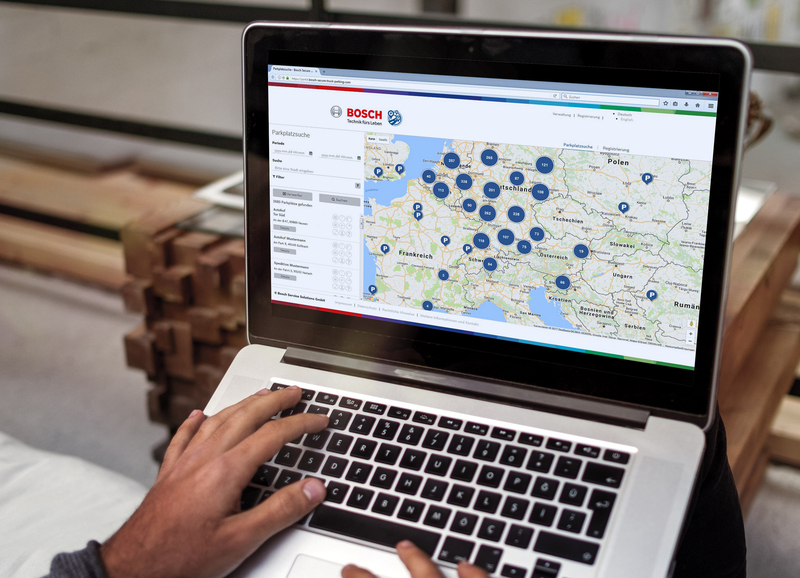 Secure truck parking: Available across Europe, Bosch’s secure truck parking booking service helps truck drivers find a suitable and safe place to park. To do so, Bosch monitors in real time which truck parking spaces are occupied. Logistics providers and truck drivers can use a free online portal, and in the future an app as well, to reserve parking spots located along the route – in advance or on the way. The result is improved route and break planning. A guardian angel in the data cloud: In Germany alone, some 2,000 warnings about wrong-way drivers are broadcast each year. In most cases, however, the warning comes too late, since one-third of such incidents generally end after the wrong-way driver has traveled an average of 500 meters – in the worst case with fatal consequences. 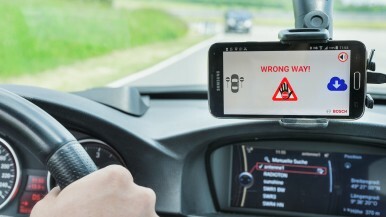 Bosch’s cloud-based wrong-way driver alert is designed to provide a warning within around ten seconds. The alert goes not only to the wrong-way driver, but to all road users in the vicinity. The service thus functions as a guardian angel in the data cloud. eCall – saving lives: As of April 2018, all newly registered vehicles in the EU will be equipped with a connected, life-saving service as standard. The automated emergency call, eCall for short, automatically calls for help in the event of an accident. This is expected to save some 2,500 lives each year. For its eCall solution, Bosch offers a comprehensive range of services through the Bosch Service Center, in addition to telematics solutions. Retrofit eCall is designed to plug into the vehicle’s cigarette lighter. And an enhanced version is available that also analyzes driving behavior and sends the data to the driver’s smartphone via Bluetooth. mySPIN smartphone integration: Using a smartphone’s navigation, streaming services, or a calendar hands-free even while driving a car or riding a motorcycle is possible thanks to Bosch’s mySPIN smartphone integration solution. It simply integrates the smartphone and its apps into the vehicle’s infotainment system. In the future it will be possible to integrate and display data from the cloud in real time. This data can warn drivers of hazards such as stopped traffic ahead. Driving app: This app allows drivers to use voice commands and gestures to safely operate telephone, navigation, messaging, and music apps while driving. Now that drivers no longer have to look at or touch their smartphone’s screen to do this, they can concentrate more on the road. The driving app offers more convenience and entertainment for drivers whose vehicles are not equipped with an infotainment system. 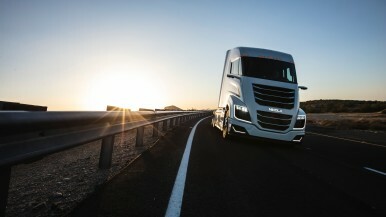 Connected horizon: The connected horizon makes driving even safer and more convenient. It supplies traffic data on things such as congestion and accidents, topographical route data including elevation and bends, and infrastructure data such as traffic signs and speed limits – all in real time. This enables a dynamic preview of the upcoming route and corresponding adjustments to driving strategy. 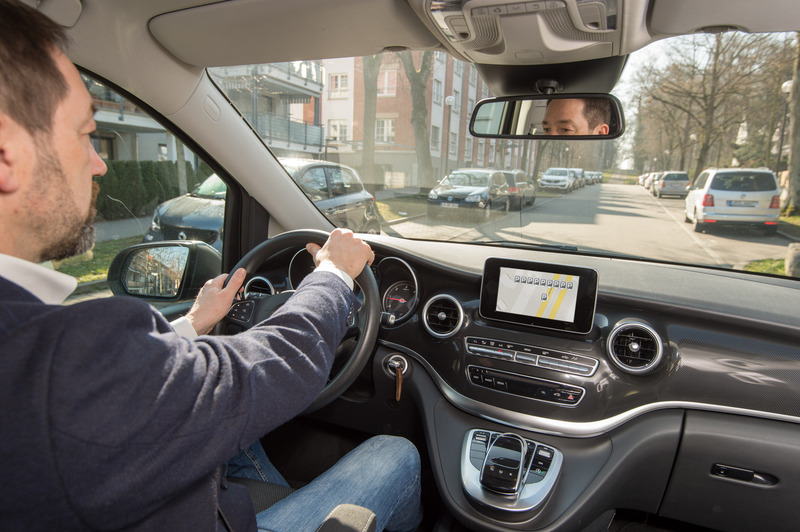 The system allows vehicles to think ahead, thus enhancing both safety and convenience. Radar road signature: High-resolution maps are essential for automated driving. 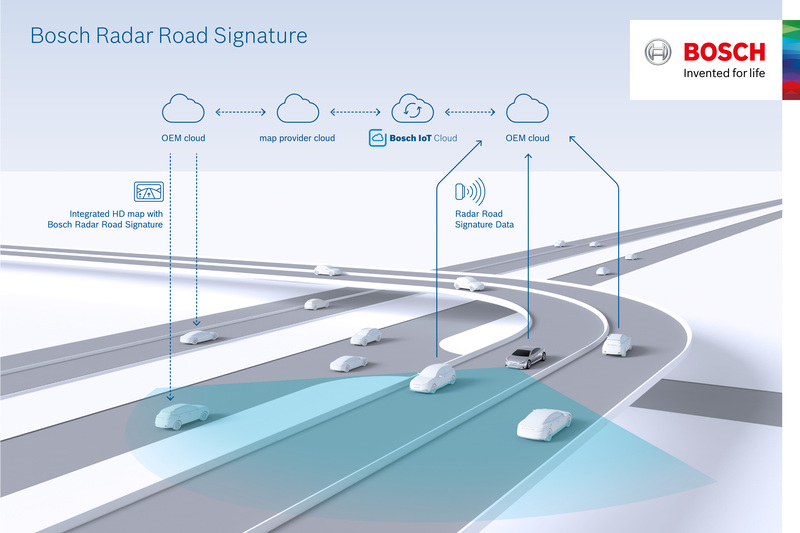 Using information provided by its radar sensors, Bosch developed the radar road signature localization service. This can be integrated into high-resolution maps and helps self-driving cars to precisely determine their position within a given lane. 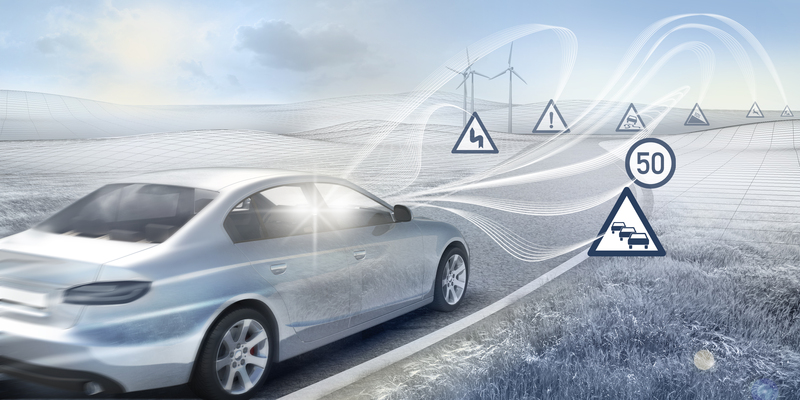 Predictive road condition services: This Bosch service improves safety on the roads. 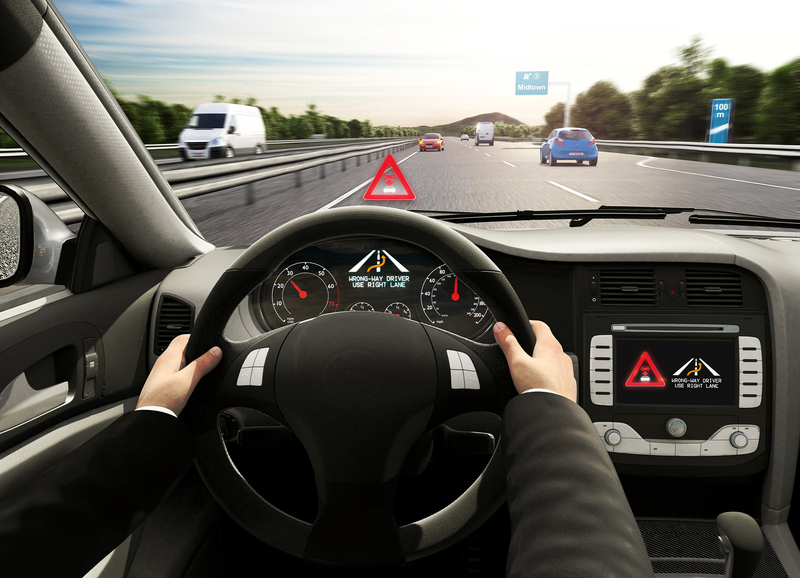 A vehicle’s grip on road surfaces varies according to season and weather, which requires that drivers, or self-driving cars, modify their driving style to avoid critical situations. Bosch developed its cloud-based service to provide information about the condition of road surfaces. The service uses the sensors of the ESP electronic stability program to determine whether a road is slippery or will provide good grip. Aided for instance by data from weather stations, the service calculates current friction coefficients and forecasts upcoming ones. This data is then passed on to connected vehicles via the cloud in real time. Charge and pay app: The smartphone is the key to finding charging stations for electric vehicles and pay for the charging process, all with a single click. 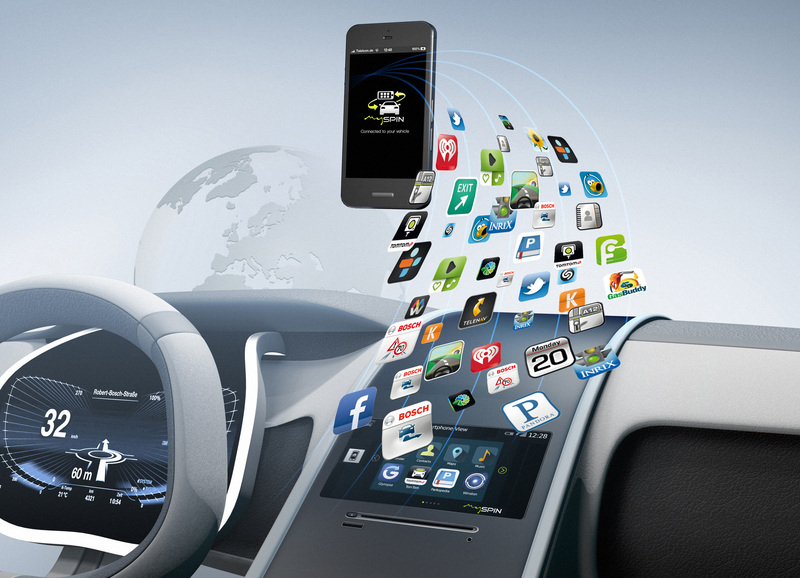 Bosch developed charging apps together with automakers including Mercedes-Benz, smart, and Renault. 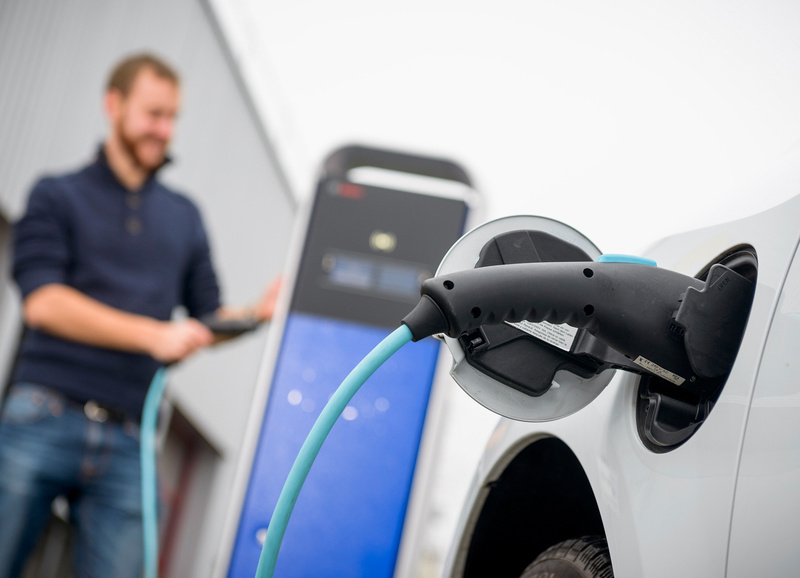 These currently provide customers with access to some 17,400 charging stations in five countries in Europe, and more are expected to be added soon. Predictive range forecast: The service calculates how far an electric car can travel in modes ranging from sporty to economical. To do so, it factors in not only vehicle data such as current battery charge and energy consumption of heating and air conditioning, but also information from the vehicle’s surroundings. This includes the current traffic situation, topographical data for the route ahead, and the outside temperature. With this additional information, the range of electric cars can be calculated with particular precision. 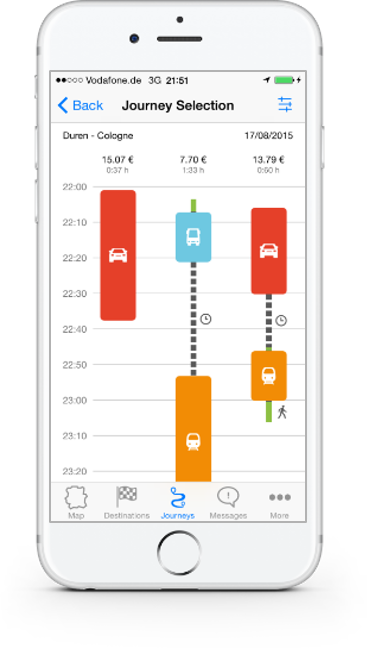 Charging assistant: This service is based on the predictive range forecast and offers suggestions for things to do along the route while recharging. Thanks to additional information about restaurants, cafés, and shopping options, drivers can make the most of the charging time and relax. The result is a pleasant long-distance journey, even with an electric car. Charging service in smart homes: A new service manages vehicle charging in smart homes. It helps to optimize how these houses use energy. For instance, the electric car’s battery can supplement the stationary storage device for the house’s photovoltaic system. During the day, the car absorbs excess solar power and feeds it back at night as necessary.